Arab media outlet reports that Russia warned Lebanon not to permit violations of Israeli territory, following discovery of terror tunnels. The Russian government has warned Lebanon not to permit violations of Israeli territory by the Lebanese terrorist group Hezbollah, the London-based Arabic media outlet Asharq Al-Awsat reported. According to the report, Moscow warned the Lebanese government in a letter “not to play games with United Nations [Security Council] Resolution 1701”, referring to the August 11th, 2006 motion by the Security Council marking the end of the second Israel-Lebanon war. Officials told Asharq Al-Awsat that Russia had called on Lebanon to ensure that the terror tunnels dug by Hezbollah from southern Lebanon into Israeli territory are neutralized. The letter suggested that Russia backed Israel’s demand that the Lebanese government be held responsible for Hezbollah activity within the country. 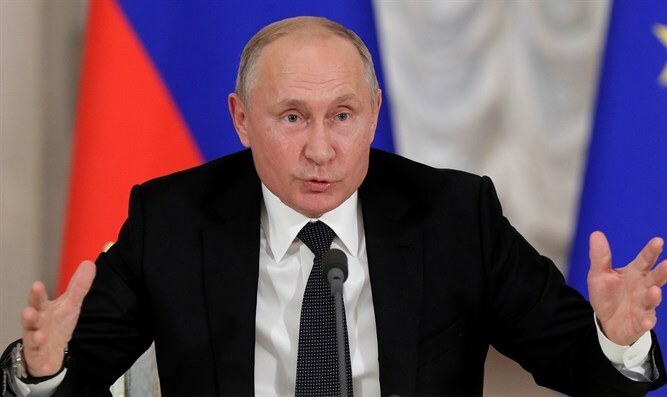 The request comes following high level meetings between Israeli and Russian officials, during which Israel revealed evidence of Hezbollah’s attempts to infiltrate into Israeli territory with a series of cross-border terror tunnels. Israel recently launched Operation Northern Shield to locate and neutralize the tunnels. In the days immediately after Operation Northern Shield began, Israeli security forces located three cross-border tunnels from southern Lebanon, including one tunnel from the village of Kafr Kila, which reached some 40 yards into Israeli territory. On Sunday, Israeli forces located a fourth tunnel leading from Lebanon into Israeli territory. ← How did IDF bus come into range of Hamas anti-tank missile?